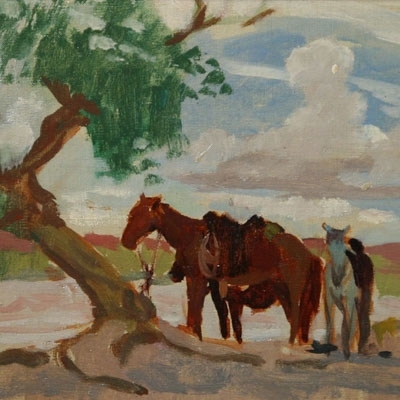 After graduating from the Philadelphia School of Design for Women in 1908, Mary Colton developed an interest in landscape painting. She also had a studio in Philadelphia, and worked as a commercial artist and painting restorer. She exhibited with ten Philadelphia women intermittently for over thirty years. SOLD Mary-Russell Ferrell Colton (1889-1971) - Capital Butte Gray Back Mt.